The love for the flooring industry started in 2001 with Victor. At that time he was working as a salesman for another company, selling to manufacturers. He learned his way around the product and developed an intense passion for the different styles and options available. Fast forward to 2007. With a failing economy, the business Victor worked for failed and Victor found himself at a crossroads. He could either find another company to work for and hope and instill in them the passion he had for the industry. Or he could take what he had learned and build his own company. One based on his years of experience and love of the field. He chose the later and in 2008 Carolina Floor Covering came into being. 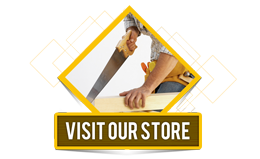 Beginning with only a small selection of premium hardwoods, the business quickly grew to include laminate flooring, trim and molding and more – pretty much anything you would need to do the floors.